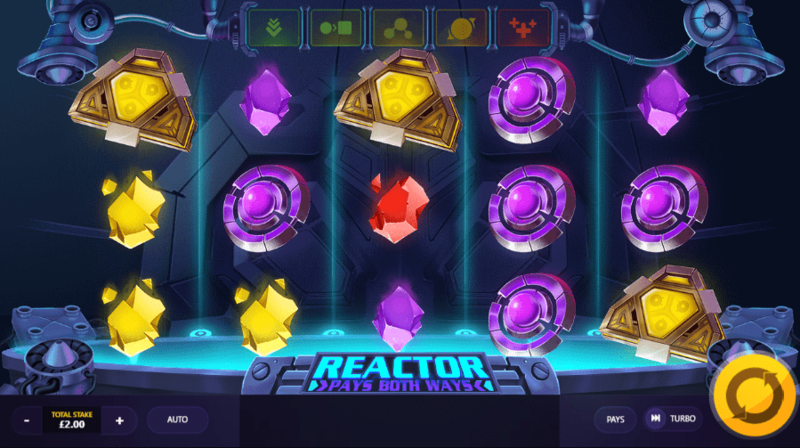 With incredible futuristic graphics, an array of cool sound effects, and a colourful spectrum of symbols, Reactor is a revolutionary online fruit machine. 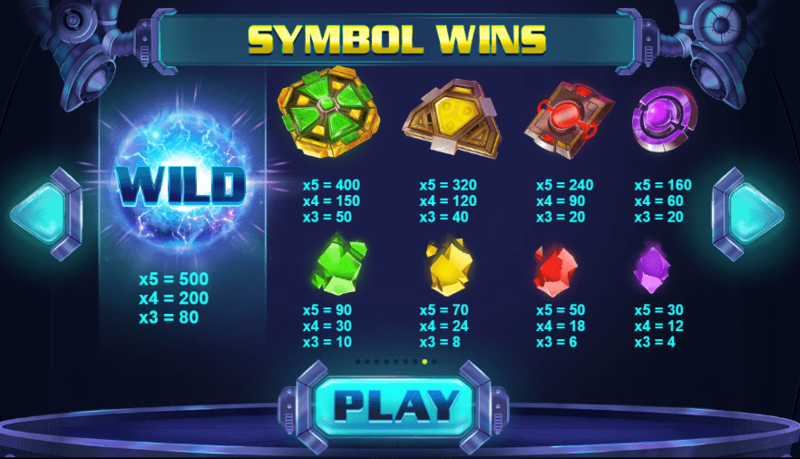 With the chance to win up to 5000x your stake, and the unique feature of awarding wins from both sides of the screen, this online slot game offers multiple options to win exciting prizes through landing the sought-after battery symbols. You can also find other fun slot games here at WS. Reactor has been cleverly created by popular game developers, Red Tiger. Founded in 2014, Red Tiger is passionate about all things casino, and has a vast range of immersive and engaging online slot machine games on their portfolio, as well as several new ones in the pipeline. Pirates’ Plenty: The Sunken Treasure – climb onboard and help to uncover the pirates’ mysterious treasure. Totem Lightning Power Reels – adventure into an ancient world and climb to the top of the totum. Dragon’s Luck Power Reels – travel to the East with the eye-catching visuals in this casino game. Snow White and the 7 Features – embark on a fairy-tale journey to win big prizes. Red Tiger credits its success to its varied team of experts who all share a love of creating high-quality games. Combining creativity, maths, and technological vision, the company describes the designing process ‘the science of fun’! There are so much slot games you can play from Red Tiger. As the game begins, a futuristic machine blasts bolts of blue electricity into the centre of the screen. A number of sparking batteries appear with the words: ‘win up to 5000x’. This exciting modern fruit machine is visually-appealing from the beginning and combines innovative gameplay with an immersive story world. Live the hype of travelling to the future as you play the best online slots with futuristic graphics and vibe! The player benefits from the ability to gain wins from both sides of the screen, adding to the chances of winning. Land one battery symbol to spark a respin feature. Two batteries award a respin and the ability to swap symbols. Three batteries generate a respin, swap symbols, and random wilds. Four batteries trigger a respin, swap symbols, random wilds, and a mega wild. If you’re lucky enough to land five batteries then you receive a respin, swap symbols, random wilds, a mega wild, and a random multiplier. This modern take on a timeless fruit machine game is a design triumph and engages its audience through incredible graphics and attention to detail. It pushes the boundaries of online slot games whilst maintaining the traditional, clear format that players recognise and love. This fun and engaging creation by Red Tiger is guaranteed to excite any player, with its focus on bright, colourful symbols, a futuristic backdrop and interesting visual effects. The game is complemented by an exciting soundtrack and special effects. There are numerous ways to achieve big prizes on this game, along with the amazing opportunity to unlock bonuses by landing and matching battery symbols. Or you could play Jester Spins!